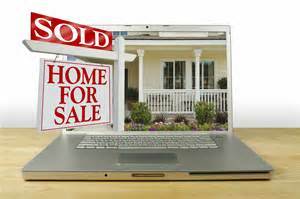 Buying A Toledo Bend Home Takes The Right Professionals! Posted on January 10, 2016 - 03:47 PM by Your Toledo Bend Express Team! I’ve written about the professionals who are on call to help anyone who sets about selling their house—but there is another team of pros who can be called on when it comes to buying a Toledo Bend home. Buying a home in Hemphill is not quite like any other purchase—even those with high dollar amounts. Buying a new Audi or Dodge Viper, for instance, can run you well over $100,000, but you don’t need much more than a fat savings account and willing car salesman to complete the deal. The most basic requirement for buying a Hemphill home is the substantial amount of money involved. Most often, the actual cash is pledged by a third party—bank or other financial institution—which supplies it in exchange for your promise to repay it over time. There are several financing options, with mortgages being the most popular: that makes the Mortgage Broker the person to consult. The broker will advise you on the types of mortgages available, the amount you qualify for, lay out the chosen payment plan—and take you through a substantial amount of paperwork. A great Realtor® contributes a lot more to buying your home in Hemphill than just selecting which of the current listings will be the most suitable. That Realtor will arrange showing schedules that make the best use of your time and energy, will be a trustworthy key player when you are evaluating and negotiating the price of a potential home, and sometimes will unearth possibilities that are only available to one who is plugged into the ongoing real estate market 24/7. Your Realtor can also help you field other members of your team. This spring will be prime time for buying a home at Toledo Bend. It all starts with a phone call—if you’re looking for a top-notch professional, I hope you’ll be making that call to our number!